The Spanish property market expanded by 17% in June, according to the latest monthly home sales data from the National Institute of Statistics (INE). There were 27,493 home sales inscribed in the spanish Property Register in June (not including subsidised housing), up 17% on the same month last year, reveal the latest figures out today, which record sales that took place a month or two ago. 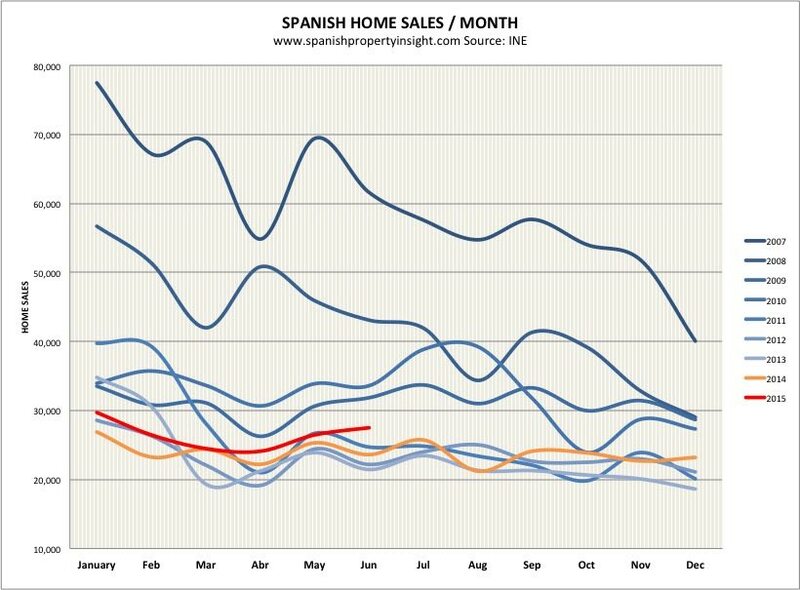 The spanish property market has now expanded for ten consecutive months, 15 if you exclude August last year, when the market shrank by just one per cent in the holiday period. Based on home sales, it now looks like the market turned a corner in March last year, when transactions started to increase, and have maintained a clear upward trend since then. Another trend that has been clear since last year is the growing divergence between new build and resales, with resales growing whilst new home sales collapse. In June, resales were up 47% over 12 months, whilst new homes sales fell 33%. 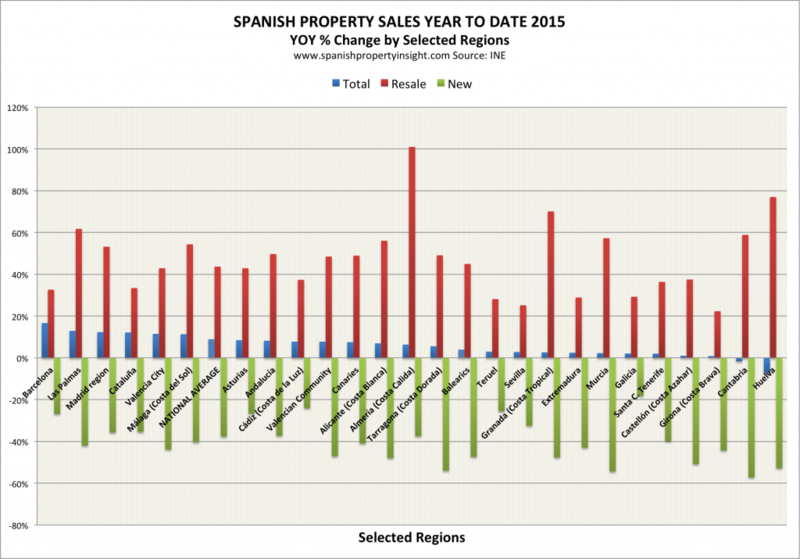 By region, Barcelona property is leading the recovery, with home sales up 17% year to date (resales up 33%, and new build down 27%), followed by Las Palmas in the Canaries (+13% in total), Madrid (+12% total), Valencia city (+11% total), and Malaga, home to the Costa del Sol property market (+11% total). 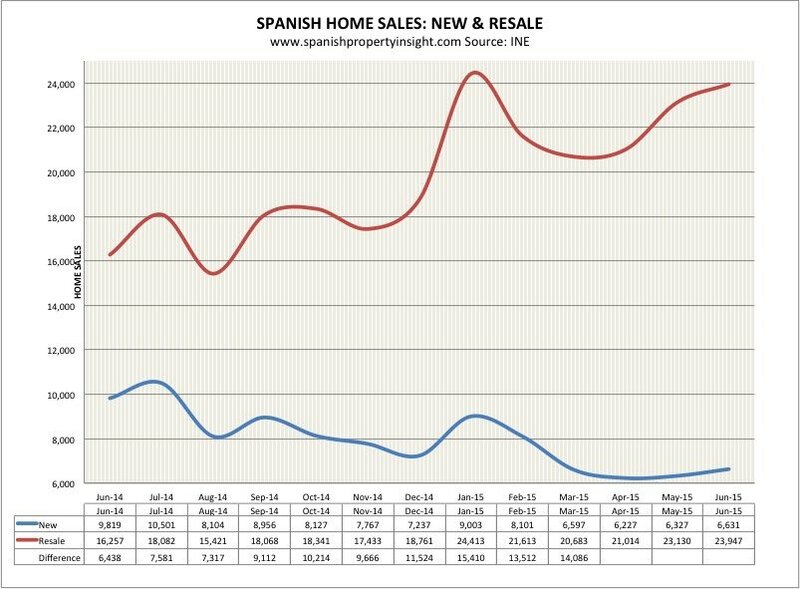 In Las Palmas, resales are up 62% this year, and in Malaga 54%, in a clear sign the market is recovering in these areas. One problem facing the Spanish property market is the lack of attractive new homes for sale in regions where there is growing demand, like Barcelona, Madrid, and the most popular coastal destinations. 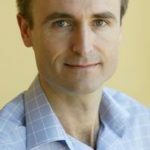 It is likely that sales would be recovering faster if buyers had a better selection of new developments to choose from.